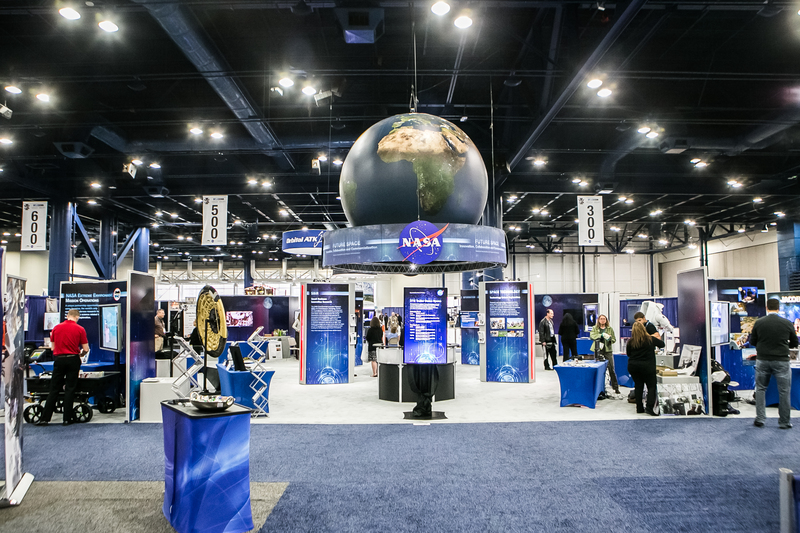 Join us for a unique opportunity where NASA Centers spotlight their priorities to attendees in the NASA Center Theater on the show floor. Marshall Space Flight Center engages in many activities especially propulsion. While we can get there with a propulsion system, who or what are we taking into space and for what purpose. Come be a part of the conversation to discuss current and future propulsion technologies and some of the science that will be enabled with them. A panel of NASA Chiefs will come together in the NASA Center Theater Tuesday, November 27, to discuss issues impacting the agency and the commercial space industry in light of recent policy directives from the White House and Congress, and under the leadership of a NASA Administrator. This candid discussion will provide insight on mission direction and operational priorities at NASA. As a hub of human spaceflight activity for more than half a century, Johnson Space Center has developed a large experience base and broad portfolio of Human in the Loop testing. Our capabilities include early human-system integration environments, extreme environment analogs, and human-rated vacuum test facilities. Come learn about how we can partner with you to enable the future of Human Space Exploration. Ames is in the unique position to cater to tech companies and start-ups in the Silicon Valley. The majority of Ames’ technology transfer is software, which is very attractive to newly developing companies in the Valley as they create their business plans and develop their technology portfolio structures. Ames is collaborating with several “accelerators”, “incubators” and academic technology transfer programs to connect start-ups with the space agency’s technologies and software. The ultimate goal is to enable successful businesses by harnessing the unique resources of the Silicon Valley entrepreneurial ecosystem, AND beyond! Find out how NASA’s Goddard Space Flight Center partners with industry to commercialize Goddard innovations developed for our science programs and missions, including heliophysics, Earth science, astrophysics and planetary science. Demonstrate your technology using commercial suborbital flight services. As the nation’s largest propulsion test facility, NASA Stennis Space Center (SSC) partners with commercial companies, government agencies, and academia. SSC provides unique propulsion test services and capabilities, restricted airspace, facilities for short- and long-term lease, and land for development. SSC offers state-of-the-art technology in autonomous systems, computational fluid dynamics, and high-performance valves. Visit our website at www.nasa.gov/centers/stennis/home/index.html to learn more. As the world’s premier multi-user spaceport, NASA Kennedy Space Center (KSC) in Florida partners with commercial industries, government agencies, and academic institutions. KSC offers unique assets, including land available for development and access to varied lab and test facilities. KSC leverages over 55 years of experience in advanced engineering and testing capabilities, cutting-edge research, technology development, payload and launch vehicle processing, and launch. Visit our website at kscpartnerships.ksc.nasa.gov to see the many partnership opportunities available. Discover the unique opportunities at the Glenn Research Center that can benefit you and the international space community. Learn how to partner with Glenn to utilize our exclusive labs and technologies including our facility at Plum Brook Station, that houses the world’s largest and most powerful space environment simulation facilities, including the Space Simulation Vacuum Chamber. For more information on how to do business with Glenn visit our website at: https://www.nasa.gov/centers/glenn/business/index.html. Come learn about how the unique technologies developed by NASA’s Jet Propulsion Laboratory (JPL) for space exploration have been commercialized to create new products for life on Earth. We will also discuss technologies that are currently available for licensing and partnerships opportunities. The Langley presentation will begin with a short review of major technological impacts Langley has had since 1917, through supersonic flight and into space, followed by an overview of current earth science, flight and space exploration activities. Langley led the Agency with patent licenses in 2018 and is actively reaching out to collaborate with industry to commercialize space. Have an opportunity to extend your reach to commercial industry leaders who will use your Center’s technology or assets for their businesses or industries. Meet other aerospace civilians who are interested in using your Center’s assets. See and hear best practices from other NASA Center employees that you can apply to your own projects.